Disclaimer: I received a complimentary Addaday thanks to Bibrave‘s BibRavePro ambassadorship. Learn more about becoming a BibRave Pro & check out BibRave.com to find and write race reviews. All opinions are my own. 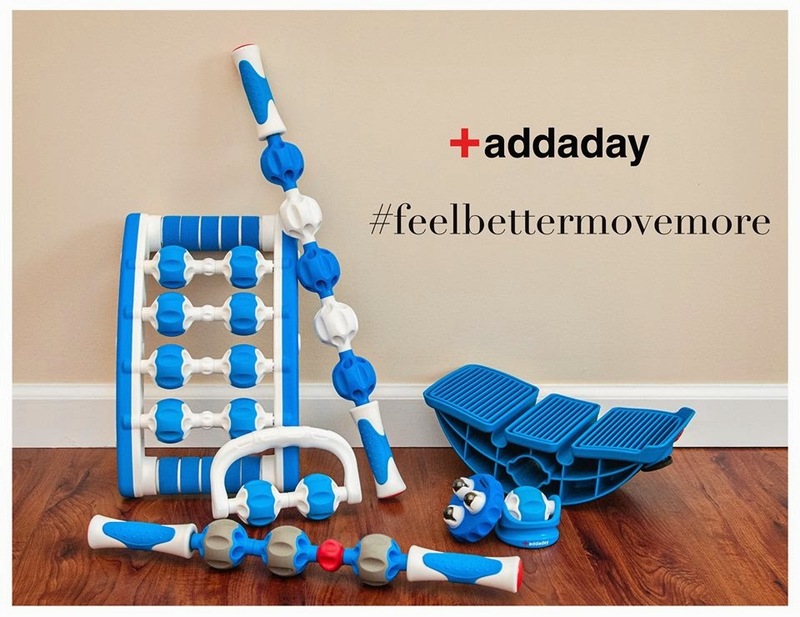 I got the email about addaday and went off to pick an addaday product. I chose the “pro” because it seemed to have everything I needed. They have a wide range of products. It’s basically a foam roller/rolling pin. The best way to describe it is that it gets the places that yoga balls and large foam rollers do not get. 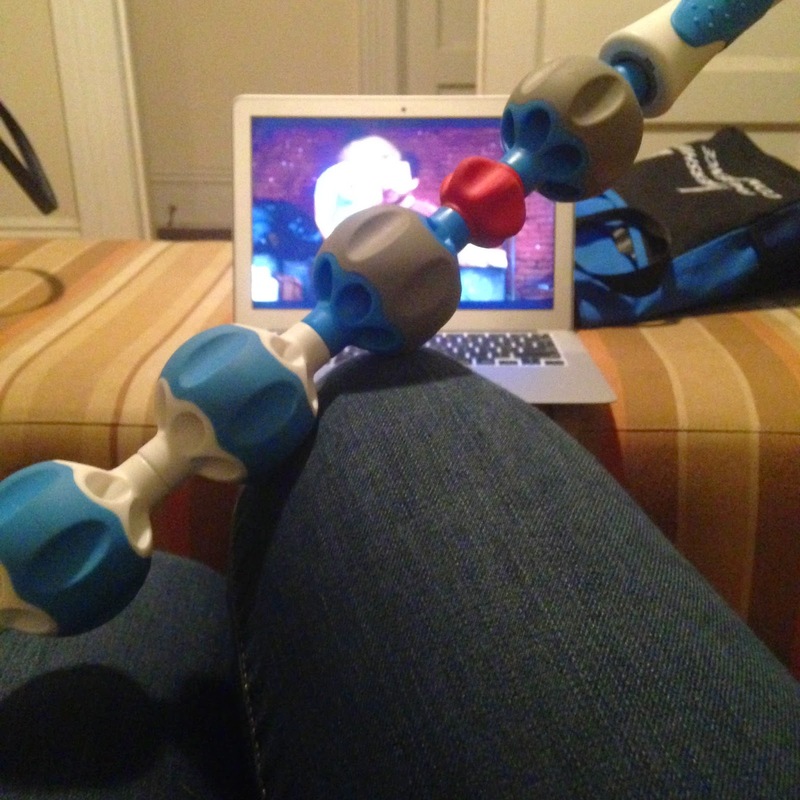 Majority of the tool is hard plastic but there are rubber parts (the blue part of the handle, the gray parts of the blue colored balls and the blue parts of the white colored balls) so you’re not rubbing hard plastic on yourself. 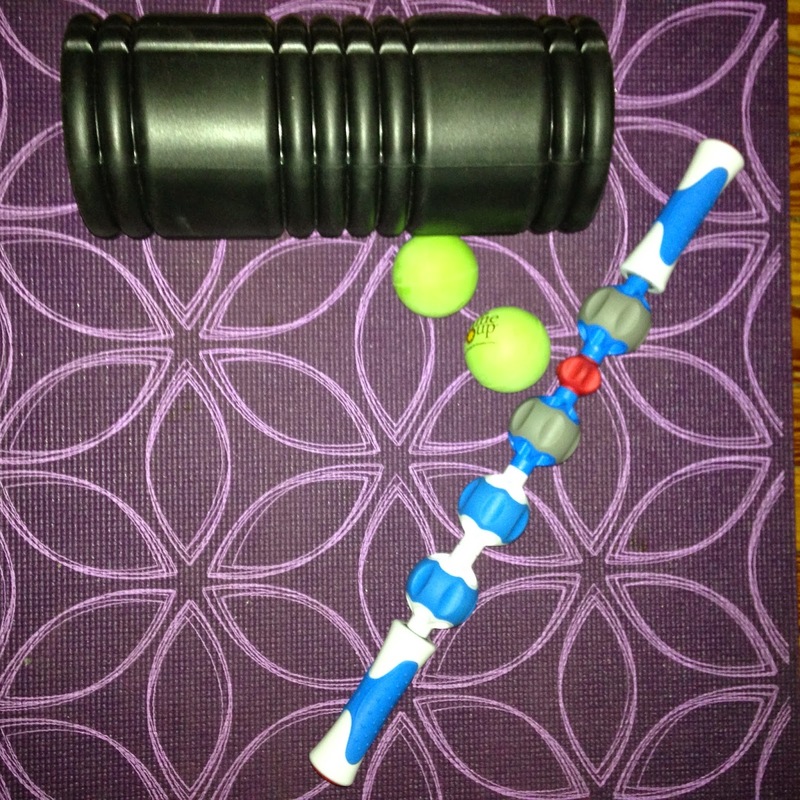 The post-running dream team: yoga mat, foam roller, yoga balls and addaday. Each ball has little crevices to get each of your muscles. There’s also the little red tool that gets the smaller places that a large foam roller can’t get. When you using a regular foam roller you have to lay on it to put pressure on what needs rolling while you can just roll it on yourself since the little plastic balls roll over you. It’s like a baking rolling pin. And if you still have no idea how to use it, check out addaday’s collection of “how-to videos.” They have a ton. Absolutely! I have tight calf muscles almost all the time especially after a run and when I wear boots so it’s been so helpful in keeping them loose. It’s definitely a great investment for your sore muscles. The only downfall is it doesn’t seem that you can buy the “pro” on their website. I was planning on gifting this to someone for the holidays but I can’t find it! Also there seems to only be one addaday retailer in NYC (and it’s all the way uptown). They do have a list of local retailers they work with on their website so you can search to see where you can find the “pro.” These retail at $45 each, which is a bit more pricey than their other models but definitely worth it. Check out BibRavePros The Cupcake Runner’s review of addaday & Alex’s review.